Two Story Flats with Industrial Finishes. All of our two bedroom, one and a half bath flats are 1150 sf. Every unit has an enclosed backyard, as well as a Juliet balcony off the upstairs north facing bedroom. 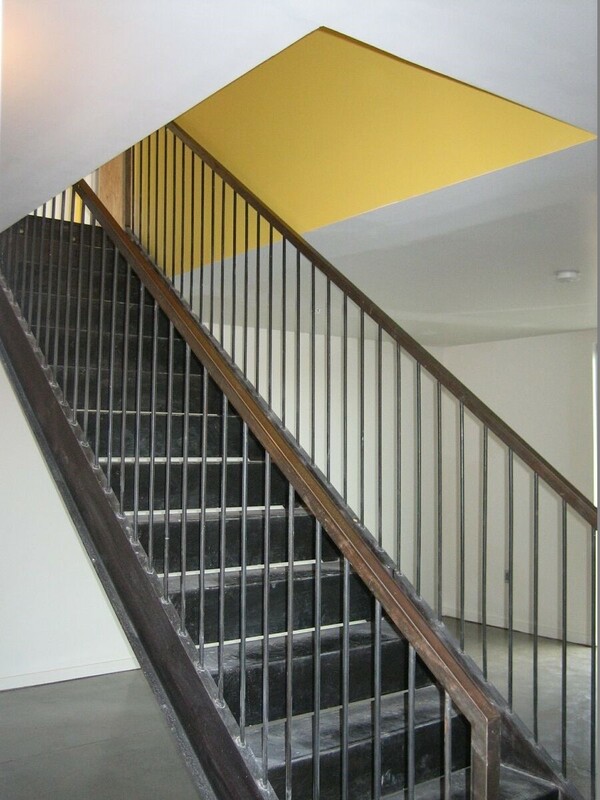 These units are highlighted by an industrial metal staircase. The two upstairs bedrooms each have their own walk in closet and vanity area. The interior highlights include scored concrete floors downstairs and quiet step laminate flooring upstairs. There is a sliding glass door to the back patio. Solar shades are used for a modern aesthetic on the windows, providing protection and privacy for your interior.